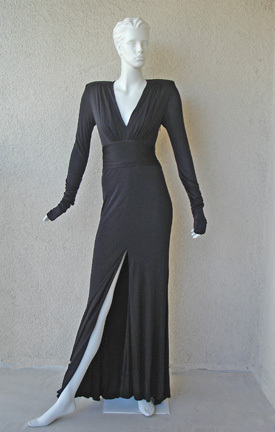 1940's inspired black soft matte jersey gown by Gianni Versace. 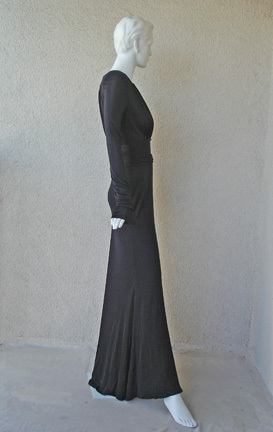 Slightly broad shoulder look enhances a smaller ruched waistline which extends and falls into a wonderful bias cut front slit skirt. 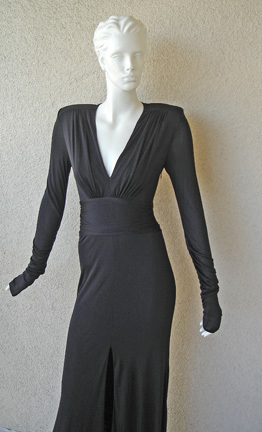 Slender long gently ruched sleeves and plunging neckline finish and complete a seductive perfect silhouette. 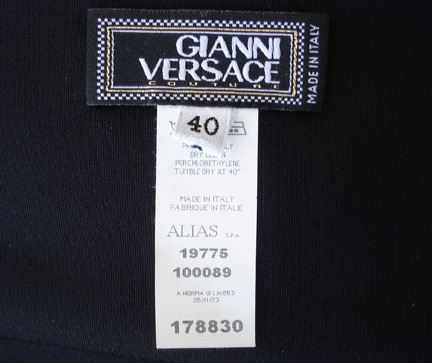 A representative Gianni creation, designed to showcase the body to its utmost. Side zipper closure. 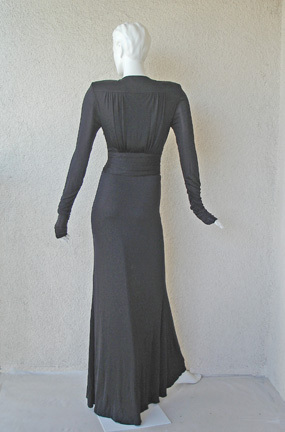 Size: 40/6; bust: to 38"; waist: 27"; hips: to 38"; length: 60"+; shoulder: 16"; sleeve: approx. 29"